Smart Cities Council India is supporting the Smart Buildings Summit 2015 being hosted by the ASAPP Media Information Group in Four Seasons Hotel, Mumbai on August 21st, 2015. Smart buildings are those where information technology is used to integrate all aspects of the building, like lighting, comfort and security, and provide an enhanced living experience for the occupants. Smart buildings are an inevitable component of smart cities as they a go a long way in improving the quality of life of the citizens, which, in turn, is the crux of smart city creation. The Council's Dubai workshop for government officials and technology engineers is being hosted by the Dubai Real Estate Institute, a member of our Advisory Board. Smart Cities Week Sept. 27-29 in Washington, D.C.
Smart Cities Week delivers solutions to the urgent challenges cities face. 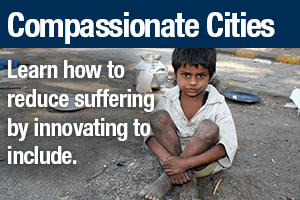 Visit Washington, D.C. Sept. 27-29 to learn about the next wave of integrated, innovative technologies that are already helping cities around the world become more compassionate, connected and sustainable. 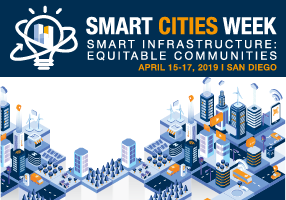 Read more about Smart Cities Week Sept. 27-29 in Washington, D.C.
Smart Cities Council joins forces with Metropolitan Solutions, one of Europe's premier events focused on issues confronting cities. Featuring 12 high-profile international conferences and a trade show, participants will hear and see the latest on urban mobility, energy supply, water supply/quality, building installations and urban safety/security. SCC will gather for its summer 2015 forum in Nice, France, hosted by Council Lead Partner Alstom Grid. Take part in engaging dialogue and networking opportunities with pioneering city leaders in Europe at Smart Cities Now: Building Blocks for an Urban Vision. The event is being held in conjunction with the Innovative City conference. Hosted by Envision Charlotte and Charlotte, North Carolina Mayor Daniel Clodfelter, the Council will hold its quarterly forum focused on innovative technologies that are making cities smarter and improving their livability, workability and sustainability. The invitation-only gathering of Council partners, advisors and guests will be held on the University of North Carolina campus in Charlotte. Council Chairman Jesse Berst will join smart cities experts from around the world as a featured speaker at the Nov. 18-20 Smart City Expo World Congress in Barcelona. 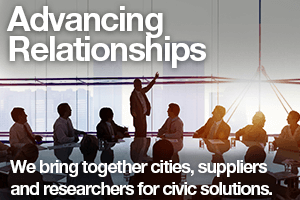 He will discuss public-private partnerships for smart cities at 12:30 p.m. on Thursday, Nov. 20. 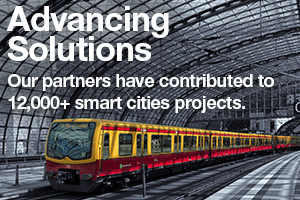 Smart solutions that make cities more livable, workable and sustainable will be highlighted at this invitation-only gathering for SCC partners, advisors and invited guests. It will be held in San Diego at the worldwide headquarters of Council Lead Partner Qualcomm. Miami-Dade County Florida and IBM are keying on data analytics and cloud computing to improve predictive management capabilities of systems tied to law enforcement, transportation and water to help leaders make better decisions. 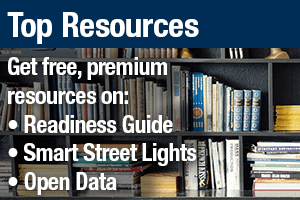 The smart city initiative is growing as a recognized movement for innovation and investment at all levels of government, according to IDC Government Insights. For that reason, a smart city analyst team from IDC Government Insights has put together the company's first annual top 10 predictions for the smart city market in 2013. 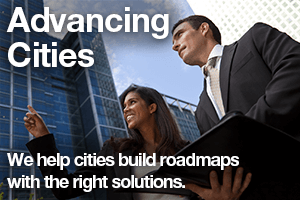 Engage with the world's leading smart cities network to advance your city's livability, workability and sustainability.